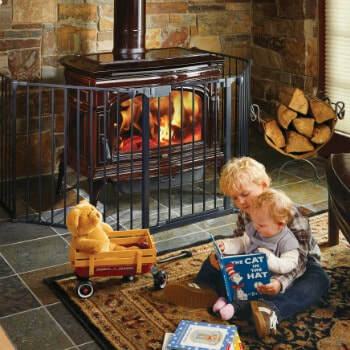 The Lopi Cape Cod Wood Stove | Cape Cod Wood Stove is one of the most efficient big cast iron wood stoves on the globe. The Lopi Cape Cod operates at over 80% efficiency! This level of efficiency saves you fuel expenses and trips to the wood pile. This unit is the total package of strength and beauty. The unit sports a convection heat exchanger and a large 3 cubic foot firebox. Consider adding the Greenstart igniter to enjoy starting your stove with a push of a button. If the project is outside of Southwestern Montana please visit the Lopi site for dealers that may be near your area for a Lopi Cape Cod price. Bare's may only sell these products bought and picked up from our store locations. Please understand we are unable to ship, sell, deliver, install, service or provide warranty for items outside of our area.